“Lately we were looking for the house to live and finally found it…” The shed is wonderful for us that make us saying something like this. The shed is crumbling and we are wondering who lived here and why, then found a tip of a posture of the architecture we’d like to design. Somehow, we tend to be fond of these kind of architectures than the architectures which somebody considered well of their design. 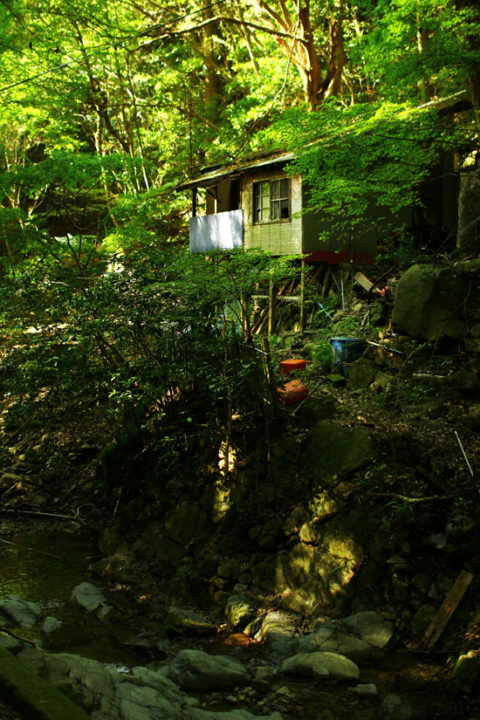 Photo: A shed by the stream in Mt. Futatabi.